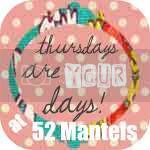 52 Mantels: From now on, Thursdays belong to YOU. From now on, Thursdays belong to YOU. 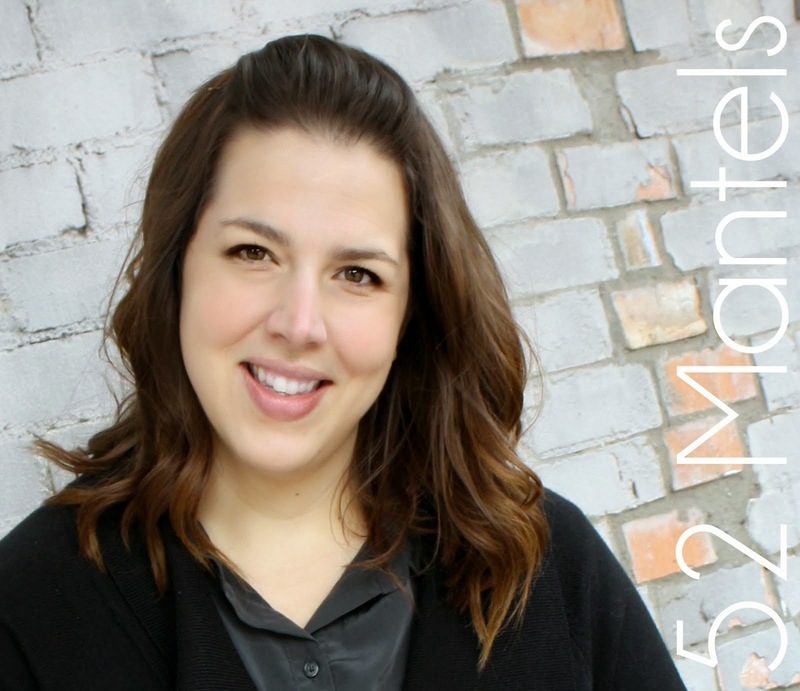 Exciting happenings at 52 Mantels! Tomorrow kicks off our inaugural link party, which will be right here every Thursday morning! It's your time to show us what YOU'VE been up to. 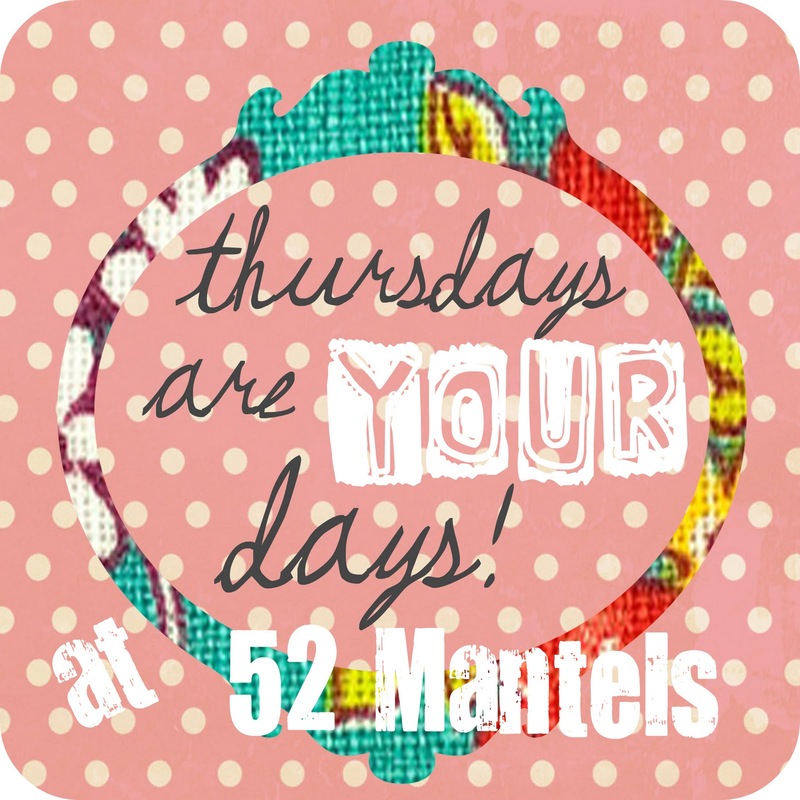 Starting tomorrow, Thursdays are YOUR days at 52 Mantels! Got a mantel-scape you're dying to brag about? Great! Link it up. Did you stay up all night completing a craft? I want to see it! Think your DIY project will wow the masses? We do too! Link it up. 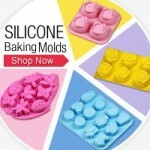 Tasty recipe? Must-share mom moment? Pinterest-worthy fashion statement? It'll all find a home here on Thursdays! Go ahead and grab my button and place it somewhere on your blog or blog post. Then come back tomorrow morning and inspire us with your creativity! But, before you run off, head on over to my GIVEAWAY for a hand-painted, glass enamel house sign curtesy of Ramsign. The clock runs out at 11pm CST tonight so hurry and enter before it's too late! See you and your awesome creativity here tomorrow! I'll surely gonna be here tomorrow Emily! Have a good start! Exciting!!! I was in JoAnn fabrics last night gathering supplies for a fun craft that I have planned to make today. It was soooo nice to be in there without kids and to see all the wonderful craft supplies that I literally almost cried. Sounds silly but, craft shopping alone is pure bliss sometimes! I'll be linking up tomorrow! This may sound silly, but I grabbed your button successfully! That's good for me! Now if I can just figure out how to link up successfully tomorrow! Blessings from Bama! Yeah! I will definatley be linking up tomorrow! See you then!